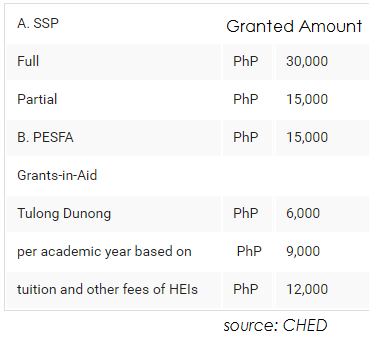 Home Agency Application CHED DEPED Scholarship StuFAP CHED: How to apply Student Financial Assistance Program (StuFAP) scholarship? 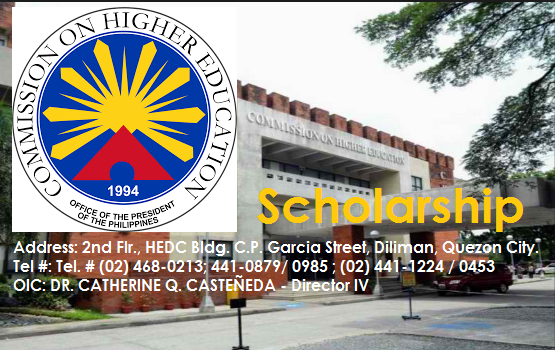 CHED: How to apply Student Financial Assistance Program (StuFAP) scholarship? CHED: Qualification and Guide to apply scholarship program. Who are qualified to apply scholarship StuFAP or Student Financial Assistance Program of CHED? What must be your Grades or GWA (General Weighted Average)? FULL SCHOLARSHIP (FS) - Intended for high school graduates whose general weighted average (GWA) is at least 90% or its equivalent, and for graduating high school students whose GWA is at least 90% or its equivalent in the third year and at least 90% in the first three grading periods of the fourth year, who will enroll in identified priority courses in duly authorized public or private higher education institutions (HEIs). PARTIAL SCHOLARSHIP (PS) - Intended for high school graduates whose GWA is at least 85% or its equivalent and for graduating high school students whose GWA is at least 85% in the third year and at least 85% in the first three grading periods of the fourth year, who will enroll in identified priority courses in duly authorized public HEIs. CHED Allocated Amount of Scholarship. Equivalent Points = Form 138 + Latest ITR. Must have a combined annual gross income of parents/guardian not to exceed Three Hundred Thousand Pesos (P300,000.00). (*In highly exceptional cases where income exceeds PhP300,000.00, the Bureau of Internal Revenue (BIR) Certificate of Indigency from their Barangay, Case Study from Department of CHEDRO StuFAPs Committee shall determine the merits of the application. Must not be a graduate of any degree program. B. Certificate of good moral character from the last school attended. Where to Submit the Application Form? Student applicants should submit the accomplished CHED StuFAPs Application (StuFAPs Form 1) directly to the CHED Regional Office concerned. Download Form Here! However, applicants who intend to enroll in State Universities and Colleges (SUCs) shall directly submit their StuFAPs Form 1 to the concerned SUCs as stipulated in the Calendar of Activities (Annex A). Scholarship Modes of Payment via Checks and Bank Account. Mode 3 – CHEDROs transfer financial benefits to scholars / grantees / borrowers through authorized banks. Requirements for Granted Scholars to process financial benefits. Photocopy of valid school ID, upon claim of financial benefits. Rules to be observed by scholars, grantees and borrowers. Request approval from CHEDRO to defer enrolment during the semester for meritorious reasons for not more than one AY in the whole duration of the academic program. Grounds for termination of scholarship/grant/loan. Transferring to another HEI/academic program without approval from the CHEDRO. DR. RAUL C. ALVAREZ JR. Thank you for visiting apttrendingph.com. If you have any other recommendation to make this site more fruitful and accurate in promoting and giving news about the Philippines, you are more welcome to write down your comments, suggestion and feedbacks below. You may also share this post if it is helpful. MABUHAY ANG PILIPINAS.